A local referee who started refereeing at about the age of 14 years having had to give up playing following a serious injury in a school match. He progressed quickly, by normal standards, to the R.F.U. Panel and then the International Panel eventually becoming one of the top referees in the world. He had a unique style and became famous for his verbal communication with players throughout a match! His first international was Australia v France when he brandished a red card one of very few he would have awarded throughout his career. 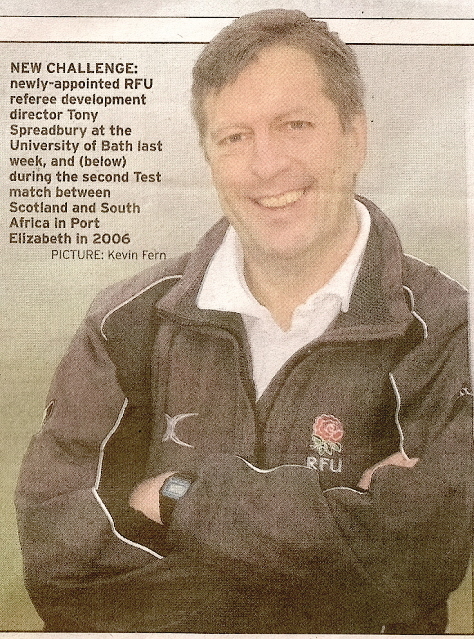 On his retirement from top-class refereeing he joined the RFU Referee Department eventually following Ed Morrison to become the Head of Professional Game Match Officials. Before being contracted to the RFU he was a senior paramedic and is credited with saving Matt Hampson’s life when he was severely injured in a match.